Glenn Rogers knows that investing time and resources in the youngest members of our community is pivotal for childhood success. It’s why he jumped at the opportunity to serve as a volunteer with Tutor Charlotte, a joint initiative of United Way, Read Charlotte, Charlotte-Mecklenburg Schools and others to provide high-quality reading and math tutoring for children. 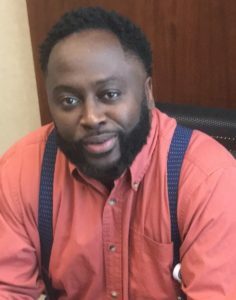 “We’ve always heard the saying that it takes a village to raise a child, and I think as professionals and as a community we have to invest in our children and understand the value of what even just one hour can do for a child,” said Rogers, a billing and support services supervisor with Atrium Health. Atrium Health is a lead partner with Tutor Charlotte and was among the organizations that provided funding for the program’s first year of operations. Through the program, companies and other organizations “adopt” kindergarten or first grade classrooms. 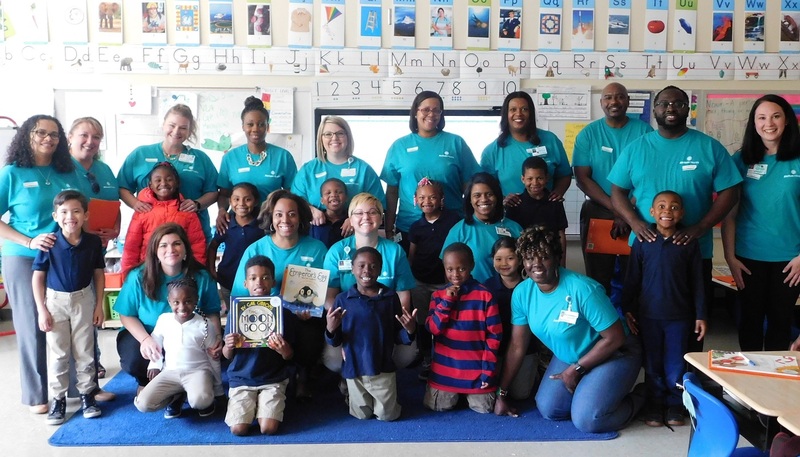 During the 2017-18 school year, Atrium Health adopted a first-grade classroom at Renaissance West STEAM Academy in the Renaissance neighborhood, one of United Way’s United Neighborhoods communities. Rogers was among 20 employees who volunteered to read one-on-one with students for about an hour every week. During the reading sessions, Rogers built a relationship with the student he was consistently paired with – holding friendly conversations and hearing about the student’s day-to-day activities at school. Rogers also had the opportunity to build relationships with teachers at the school, as well as get to know his Atrium Health colleagues better. “We were able to share our experiences. In many ways it brought us closer together,” he said. But perhaps his favorite part of volunteering with Tutor Charlotte was witnessing the young students feel valued. “To see the joy in the students’ hearts and eyes that they realize we care, that was my favorite part about it. It was really a tremendous experience,” Rogers said. 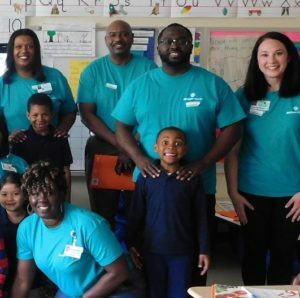 For the 2018-19 school year, Atrium Health will again be sponsoring volunteers and will provide funding for Tutor Charlotte supplies in all kindergarten classrooms at Renaissance West STEAM Academy. Interested in volunteering with Tutor Charlotte or getting your company involved by adopting a classroom? Find out how you can get involved. United Way’s Hands On Charlotte team also makes it easy to participate in tutoring and mentoring opportunities in our community.